We recently had a card swap at Just Add Ink… If you haven’t come across it before, a swap is where all participants make multiple copies of one card design and send them off to the rest of the group. What you end up with is a copy of everyone’s cards, but you’ve only had to design one! So we thought we’d share them with you all on a Swap (Blog) Hop! Here are a few details about what’s happening… There are 14 stops on our Swap Hop (Just Add Ink and each of our 13 Design Team members), but the hop is set up in a loop so it doesn’t matter where you start. All you need to do to follow along is click the Swap Hop button at the end of each post and you’ll be taken to the next stop! The great part of that is that you can do the Swap Hop whenever you want. My card was designed way back when ..it seems ages ago and I held up the works as I was late sending my cards in ..something I hate to do as I hate being late. My card was designed as a wedding idea and used Naturals Ivory, Very vanilla and Sahara sand cardstock. I embossed with the Petals a Plenty embossing folder, stamped with Curly Cute and Elements of Style and then used my versamarker pen to highlight some of the swirls with gold embossing folder. I LOVE that SU has given us the versamark pen! The other details are.. I used a piercing tool and mat pack for the holes, the new scallop trim border punch and used Very Vanilla Satin ribbon for the knot. We got taught at convention how to do a nice knot and all of my class ladies love the little story that I tell them on how to do a nice Knot…ask your demo if they have been to convention and heard it ..its so funny! 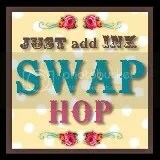 Righto ..off onto the swap hop and this time its the fabulous Bron Eastley ..Just click on the link to hop to her blog. Her card just blew me away with its superb style..I totally loved it thanks Bron and thanks so much to all the girls on the Design Team for this swap! oooh, Delys – this is beautiful! Perfect for the occasion. I might have to CASE your design; it works so well. Thanks for sharing! This is just such a beautiful card and a fantastic photo of it too Delys! I have to tell you Delys that when I opened my ‘swap’ package I gave a little gasp when I got to your card – it is divine! Absolutely stunning. I love it. This is stunning – so very elegant! I absolutely loved receiving this gorgeous card from Delys as it gave me lots of inspiration for when I need to make my son’s wedding stationery! Thanks Delys you are so talented. One of my favourites, although I love them all. Such a fantastic example of elegance!! So stunning Delys! I can see I might have to add this to my wedding case file. B-E-A-U-T-I-F-U-L spells Delys’ gorgeous SWAP. 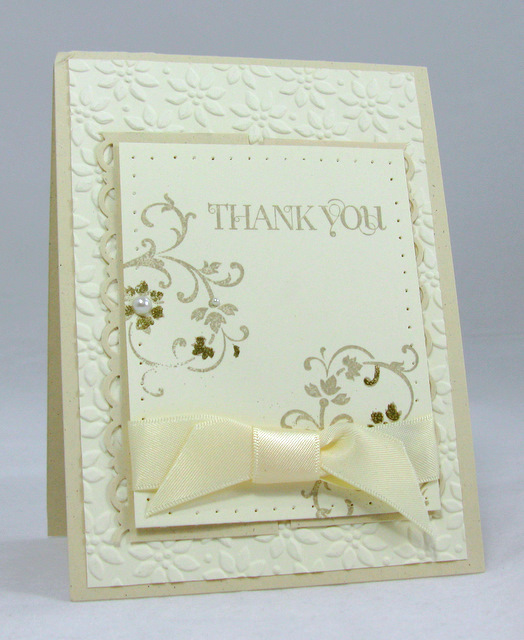 What a beautiful, beautiful combination of colours you’ve used to make this super-elegant card, Delys. Love everything about it; you always inspire me! Delys, I absolutely adore this card. Everything about it is so perfect, I’m so glad to have received it. Thank you. Beautiful card, Delys! Thanks for the versamarker info – I was wondering how you got that pretty gold detail onto your image. Very elegant and romantic. Simply beautiful Delys. 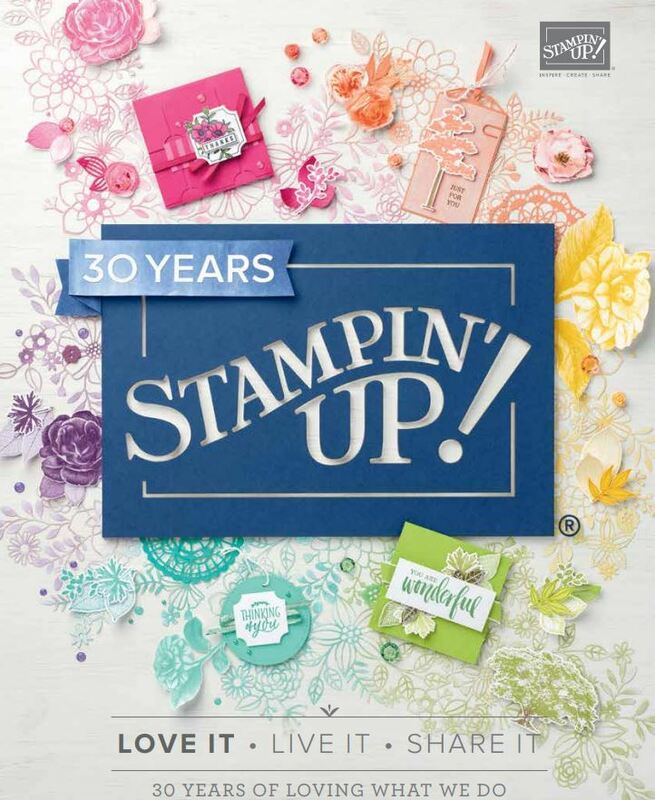 The content of this site is the sole responsibility of Delys Cram, Independent Stampin' Up! Demonstrator. Unless otherwise stated, all stamped images are © 1990-2015 Stampin' Up!® Feel free to CASE my designs but please do me the courtesy of giving me the credit. Thanks! My SU website- check it out!